Bandar Sunway, 18 December 2013 – Hong Leong Yamaha Motor Sdn Bhd (HLYM) today introduced the latest edition of Malaysia’s best-selling automatic motorcycle, the all new Yamaha Ego S with YMJET-FI, fuel injection. 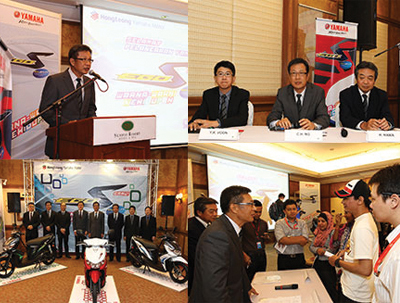 In a special media only event, the all new Yamaha Ego S was unveiled by Mr. CH Ng, Managing Director of HLYM. The all new Yamaha Ego S projects a distinctive new look that embodies cutting edge design concept that features a compact body with expressive deep-set headlight unit, aerodynamic air intake side covers, and new designed tail lamps with striking new colours. “The all new Yamaha Ego S has a new large headlamp, pilot lamp and rear lamp combination that complies with the UN-ECE requirement to ensure a brighter and safer ride at night. 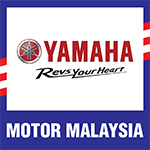 The other key feature is the YMJET-FI Fuel injection system which has been developed by Yamaha Motor Co., Ltd. Japan especially for automatic models” said Mr. CH Ng, Managing Director of Hong Leong Yamaha in his speech. The all new Yamaha Ego S with YMJET-FI fuel injection system offers stronger acceleration from low – to – mid range speeds with efficient fuel economy. The compact body of the all new Yamaha Ego S allows for easier and enjoyable riding around town whilst the larger footboard gives additional foot space for a more comfortable ride.